The paper presents standards for reducing injury possibility in manufacturing processes through the introduction of individual behavioral safety audits (IBSA) procedure. The auditor-employee communication mechanism is considered. The IBSA structural-logic procedure is presented which clearly demonstrates its routine in detail and reflects the basic psychological techniques for the auditor to complete the “positive dialogue” with the employee, depending on the latter’s behavior in the workplace /site. The paper gives fundamental parameters for analyzing the IBSA procedure results. A special blank is to be filled by both the auditor and the employee under control. Also, according to the analysis results it is advisable to introduce the IBSA procedure into a three-level safety control system of manufacturing processes. Keywords: audit, IBSA, individual behavioral safety audit, reducing the possibility of injury, positive dialogue, risky behav-ior, dangerous conditions, work safety. OHSAS 18001:2007. Occupational Health and Safety Management Systems. Requirements. Smirnov B.A., Dolgopolova E.V. Psihologija dejatel’nosti v jekstremal’nyh situacijah [Psychology of Performance in Extreme Situations]. Vol.2 – Kharkov: Humanitarian Centre, 2007. – 292 p. – ISBN 966-8324-29-3. 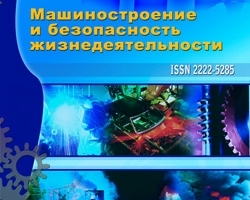 IBSA procedure as a tool of reducing injury possibility in manufacturing process, Mikhalev A.V., №1 (19) 2014, Tumanova N.I.